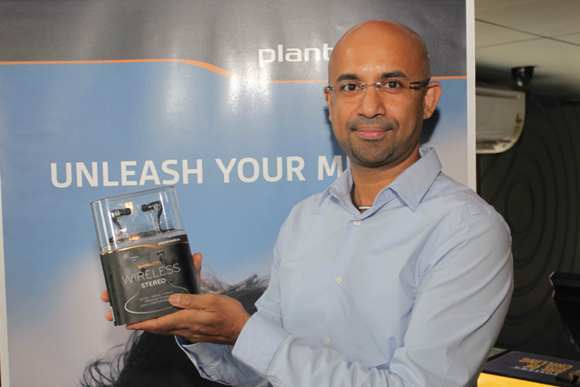 Plantronics has launched the BackBeat Go, which is the company’s smallest and lightest wireless Bluetooth headset. The device allows users to enjoy music in a small wireless package. Users can listen to songs without the hassle of being tangled or tied to the smartphone or music player. The BackBeat Go p[rovides premium sound, convenience and comfort all with the simplicity of wireless ear buds. Designed for smartphones, tablets and MP3 players, the compact and lightweight BackBeat Go includes deep, rich, stereo sound, noise reduction technology for improved call clarity and inline controls that allow the user to take calls, skip tracks, and adjust volume. The BackBeat Go is available now for Rs 4990 at all leading retail outlets.